When you’re shopping around for a new SUV, it quickly becomes apparent that there are plenty of options to choose from. 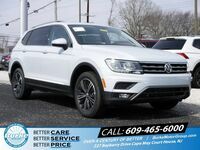 However, if you want an SUV with cutting-edge technology features and great warranty coverage, the 2019 Tiguan is hard to beat. 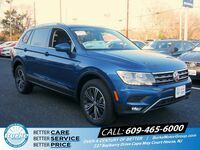 If you need a new SUV, Burke Motor Group can help you find a 2019 Volkswagen Tiguan in Cape May County, NJ for a great price. Front-wheel drive 2019 Tiguan models all come standard with three rows of seating. All-wheel drive models come standard with two rows, but a third can be added as an option. The powertrain that powers every 2019 Tiguan model is a turbocharged, four-cylinder, 2.0-liter engine. Outputting 184 horsepower and 221 pound-feet of torque, this engine provides drivers with quick and responsive acceleration on top of exceptional drivability. There’s a 2019 Volkswagen Tiguan that’s right for everyone, no matter their SUV preferences. 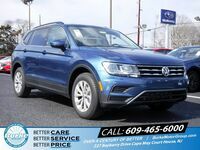 The 2019 Volkswagen Tiguan can be found in six trim levels: S, SE, SEL, SEL R-Line, SEL Premium and SEL Premium R-Line. This SUV is also offered in eight exterior color options, including Cardinal Red Metallic, Pure White, White Silver Metallic, Platinum Gray Metallic, Deep Black Pearl, Habanero Orange Metallic, Dark Moss Green Metallic and Silk Blue Metallic. 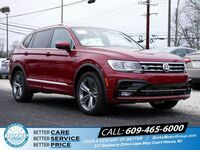 The 2019 Volkswagen Tiguan S comes with a sound system with six speakers, heated side mirrors, automatic headlights, roof rails, Volkswagen Car-Net App-Connect (which includes Apple CarPlay and Android Auto) and a 6.5-inch touchscreen-based infotainment system. An optional Driver Assistance package (which comes standard in every other trim) adds automatic emergency braking, a forward collision warning system and blind-spot monitoring. 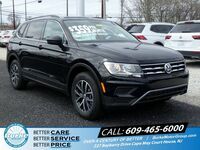 Available 2019 Volkswagen Tiguan safety features include: An anti-lock braking system, electronic stability control, crash-optimized front end, LATCH child seat anchors, an intelligent crash response system, tire pressure monitoring, stability control and daytime running lights.